The ECU Sub Ohm 2200 mAh Battery is one of the more unique styles of Mods. 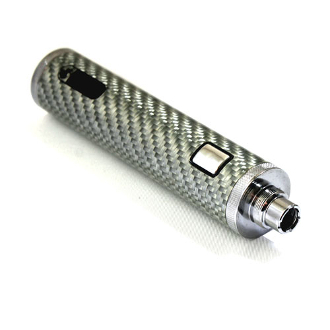 It has a very similar shape to the standard ego batteries and has a battery life of 2200mAh that will last you a broad amount of vape time between charges. What makes this battery unique is its preset watt output of 30 watts. With only one button to become acquainted with, the ECU Sub Ohm battery allows for smooth sailing... or should we say "smooth vaping". It can handle a resistance of at least .3 ohms giving you gloriously rich vapor production without the hassle of modifying seven different button settings. You could say this battery is "easy, breezy, beautiful... ECU Sub Ohm Battery"